... But we're not done talking about politics, or puffer coats. This week's interviewee is Glamour's senior editor Mattie Kahn, who I've been wanting to feature since sending the first issue of Clipped about a year ago. Before joining Glamour, Mattie reported on politics, including the 2016 election, for ELLE, and wrote for Man Repeller. She also authors a newsletter called Disaster Baking. Before we get into it, a few of you responded to my last couple callouts about collaborating on this project, which is so great. Email me at clippedmags@gmail.com if you'd like to talk more about being involved. I'm also psyched for Clipped's next couple interviews, including Damn Joan editor in chief Mikki Halpin and The Cut's Gabriella Paiella. Send questions if you got 'em. I wanted to start out talking about Alexandria Ocasio-Cortez, particularly because some outlets like the New York Times missed her race entirely. Other outlets more associated with women readers, like Refinery29 or Elite Daily, had seen her race as notable. I’m wondering what you thought about that and how outlets like The Times could learn from women’s media, like Glamour or Elle, who might be closer to those political stories that are going to be coming up, hopefully, more and more. I can’t say it’s terribly surprising that The Times missed it, but I think women’s magazines and women’s media have been really good at recognizing that female ambition is worth paying attention to, whether or not it’s necessarily going to bear out. It’s not that I think every one of those outlets thought, she’s going to pull off a 30-point upset, we’re going to be right and everyone else is going to be wrong. These publications have known for a long time that a woman who wants to do something, who’s putting herself out there in public, and doing that kind of work—there’s something admirable about that. That’s more what I think these legacy outlets have missed: the fact that there are a lot of interesting women out there who want to win, who want to be accomplished. Women’s media has given them a space to talk about that, and if I think legacy outlets have failed anywhere, it’s not that they depicted the race wrong. It’s that they didn’t see a woman with that level of drive as interesting on its own merit, and I think women’s magazines have been good at seeing that for a long time. Even in addition to ambition and drive and actual political clout, I was listening to an episode of The Cut on Tuesdays about Ocasio-Cortez and how she just doesn’t look like a candidate we’ve seen before, and there have been a lot of first-time things associated with her. We’ve seen images of her out living her life, whether that be a photo of her clearly not wearing a bra. These images don’t necessarily match up with our idea of power in this country that’s run predominantly by older white men. What are your thoughts on the visibility of candidates like her? When I was in college, there was someone we knew who we’d imagine being a senator one day. And we’d say, “How awkward is that going to be when all of these photos are up on Facebook of us doing whatever it is that we did?” Every candidate is going to have Facebook photos that trace them back to high school and college from now on. Every woman who runs, there will be an image of her in a Halloween costume, or wearing no bra, or drinking with her friends, or living her full, wholesome life. I think that’s a great thing. I think the sense that candidates are these two-dimensional figures that we trot out every 2 to 4 years to shake hands and kiss babies — it’s no wonder to me that people don’t have a lot of confidence in the people they elect to represent them, because they don’t feel like they’re representative people. I think it’s so wonderful that there is a person who I know has wandered down to the bodega at some point to get a seltzer or whatever it is, and I want more people I can say that about in Congress, and not fewer. There’s a lot of scrutiny that comes with being one of the people who’s changing the face of politics. But to me, there’s no question that the face of politics is changing. There will be more women and fewer bras in the future of our elected system [laughs]. "I think it's exciting to be at a brand that doesn’t have to care that much about men. That is really freeing, because I’d rather be talking about how women are changing the face of political power in this country." When it comes to covering news and politics, there is obviously a lot of ground to cover. How do you make decisions about what to cover for Glamour, and what angles do you feel best serve your readers? My personal feeling has always been that you want your reader to be informed if they’re only reading you, but you also know with the way the internet works now, odds are they’re not only reading you. The question I’m always asking myself is: What can Glamour offer a reader that she isn’t going to get when she looks at her phone at a CNN breaking news alert? The world can be a really scary place, and the things I want to provide a reader are either a deeper understanding of how it is that we are where we are. I also think there’s a real role for women’s media to play in providing a narrative that illustrates those issues that can feel really far away. That is anything from talking to women about the decision to have kids because of climate change, or any other political issue, to hearing from a woman after Ariana Grande sang the Aretha Franklin memorial and was groped, about her struggles with her faith being part of a church that can sometimes feel paternalistic. 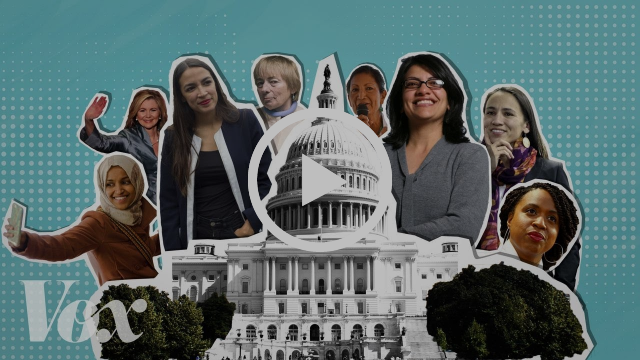 I did get a chance to read your post-midterms piece, and I’m hoping to talk more about your general impressions of the results, and what you at Glamour plan to cover as we now probably march toward 2020. First, all credit to one of my old bosses at Elle, Leah Chernikoff, who taught me this: If you’re talking about something all the time with your friends, or you’re texting all about something, or everyone at the office is talking about this thing — you should be writing about that. The midterm analyses that I did really came out of coming into the office on Wednesday and having people feel this anxiety that Democrats — and not every person, although there are a lot of progressives who work here — hadn’t done as well as we were supposed to do. I will say it was a great night to be at a brand that invests in women’s stories because in every single way, women pulled it off on Tuesday. I fully believe that the women who won did it because women were out there voting for them, and the men who won won for the same reason, especially on the Democratic side. Those numbers about white women voters, though, they don’t lie either. Women are moving the needle in every direction in these elections: they are more reliable voters than men, they are more reliable volunteers, and I think it's exciting to be at a brand that doesn’t have to care that much about men. That is really freeing, because I’d rather be talking about how women are changing the face of political power in this country. In terms of thinking about 2020 and our political coverage, I think if you’re a person who’s online and on Twitter and reading the Times every minute of the day, you can forget that for a lot of women and a lot of people in america, politics isn’t as much about who’s up and who’s down in the polls, or who has the most name recognition, or even who a person is going to vote for. Politics is about: How hard is it for you to get to work? How hard is it for you to spend time with your kids when you’re trying to make ends meet? How much traffic are you encountering on the road? It’s every part of your day that actually isn’t about watching people on TV or reading the newspaper. Politics is consuming people’s lives, and we will cover the candidates — and I think there will be many women, which is exciting — but we also have to remember for our readers, politics is about the questions that are defining the way they live their lives. It’s kind of stunning to think that in 2016 when I started at ELLE covering the presidential election, it was the biggest deal in the world that a woman was a nominee, and was even in the race. There is very little routinely exciting to me than the fact that when we look at 2020, every best guess I have is that at least 3 if not 4 or more women will run, and that’s just going to feel normal now, and that’s a huge success. And it’s not something I take for granted. I couldn’t be more thrilled that there will be more women on that stage, and it will just feel like a regular fact of American politics. At Glamour, what are some of the main issues you’ll be thinking about during the election cycle? There are so many issues in the past that I think we’ll keep doing. First, money and finances, and not just theoretically how the economy is doing, but how are women budgeting, where are they spending the bulk of their money? What are the things they’re spending too much on, or they’re not sure if they should be spending so much on? How much are women able to save? How are they paying off their student debt? It is for instance really cool to me that Alexandria Ocasio-Cortez said she doesn’t know yet where she’s living in D.C. Now that she’s elected, she can’t take that salary, and she’s not getting paid right now, so it’s hard to secure an apartment, which is fascinating. These are elements of things women are facing all the time. What are the nitty gritty areas of women’s lives where it's just become hard or even impossible because of something we may not even be thinking that much about? I do think it's frustrating to be female and see the things that feel like life or death to you be taken so not seriously in many corners of the media. We did a big package on the opioid epidemic and women last year, and I don’t think that’s going away. I don’t imagine breathlessly covering whether Nancy Pelosi and Trump agree on reducing prescription drug prices, but I do think some of those health care conversations are going to have huge effects on women’s lives. What's a way I can be interested in that question? What are women doctors and nurses saying they’re having a hard time answering for their patients? There’s a genuine OBGYN shortage in huge parts of America, and that is really concerning because everybody was born somehow. If you live there, you need someone to help you get [to an OBGYN]. And then of course, I am afraid as anyone else is about the landscape for reproductive health care. I think we have to be prepared that things are going to change, and probably when they change, they will change rapidly. It will be on us to explain that to readers without fear mongering, but while also elevating groups of people who are going to be directly impacted by that. You wrote a piece about how media basically ignored the Women’s March, or didn’t report on it at large for what it was. It should have been on every front page of every newspaper, because that is what was happening in women’s lives, what many of us were talking about with our friends for weeks and a year ahead of whenever the next one was going to be. How do you view that responsibility as almost an ad hoc part of your job, if you see it that way? I do think it's frustrating to be female and see the things that feel like life or death to you be taken so not seriously in many corners of the media. For a while, I liked to screenshot every headlining I saw that said, “They marched, but will they vote?” The facts that the media is supposed to care about have always said that women are more reliable voters than men. So the question was so supercilious and condescending, and it’s a really bad feeling to feel condescended to by media. That’s what I try not to do at Glamour, and other outlets should try a little harder to not do that to women as an entire block of people and 50% of the population. I think there’s a sentiment that women’s interests and furies are not serious, and I think our political engagement is not a hobby. It’s not something we do in our spare time. It’s dictating our lives just like it’s dictating everyone’s lives. I had a science teacher who said, “Gravity works on you whether you believe in it or not.” Politics works on you whether you are political or not. To dismiss women caring about this stuff as something niche, I find really infuriating. I think that’s starting to change. Better representation helps that change. I would also want to correct the idea that women only care about women or women’s issues. The dream of my life is that we can stop singling these things out, but we can’t do that until women are a normal part of the conversation. And that means 50 percent, and nothing less than that. I’ll keep calling it out when I see it, but I think it’s really revealing to see who the assigning editors at those places are, and what their newsrooms look like. They should be more female, and full of many more minorities. They should be more diverse than they are. And until that happens, the objective default position is going to be that of a white man who thinks that that’s objective, when in fact that’s a very subjective perspective that he has. I can’t wait for that to be over. In what major ways have you seen women’s media change? One of the ways is not treating women like they’re kind of frivolous. When I was reading Seventeen and Cosmo Girl, there was a lot of obsession over what men thought and how to please men. It was heteronormative, super white. I think it's great that we’re starting to change that. Strides are slow, and I’m sure people are very critical of how much farther we have to go. I’d like to see more diversity in every way: size, shape, race, ethnicity, background, socioeconomic status. I think, too, not being afraid to get into the messier, more unlikable parts of being a woman. I think magazines are called glossies for a reason; they can be transporting and fun, and I don’t want anyone to finish an issue of Glamour and think, wow, the world is really terrible. They already know that. I think there’s space to be messier and to be frank, even in ways that when I was growing up, there never would be. There would be so much more discussion of mental health, anxiety and depression, weight and how it still affects the way women see themselves. The honesty, I think, is a big shift. And then, I think the celebrity piece has changed a lot because social media has had a big effect on how much access you have to celebrities and what they want to talk about. I’m really admiring us and paying a lot of attention to outlets who are doing that well and finding interesting ways to talk to and engage with celebrities than what used to be the standard profile that everyone ran on the cover. I’m really curious about how that will evolve.